THE GROUP IS EXPANDING ! Reflexallen Group is an automotive Tier 1 and aftermarket supplier; a global player that offers a wide range of safety-critical components. The Group, established in 1988 in Modena (Italy), with its Headquarters in a beautiful location on the hills of Modena since 2005, offers a wide products’​ portfolio organized in 5 different divisions: Pneumatic, Electrical, Fluid Power, Safety Devices and Special Composites. 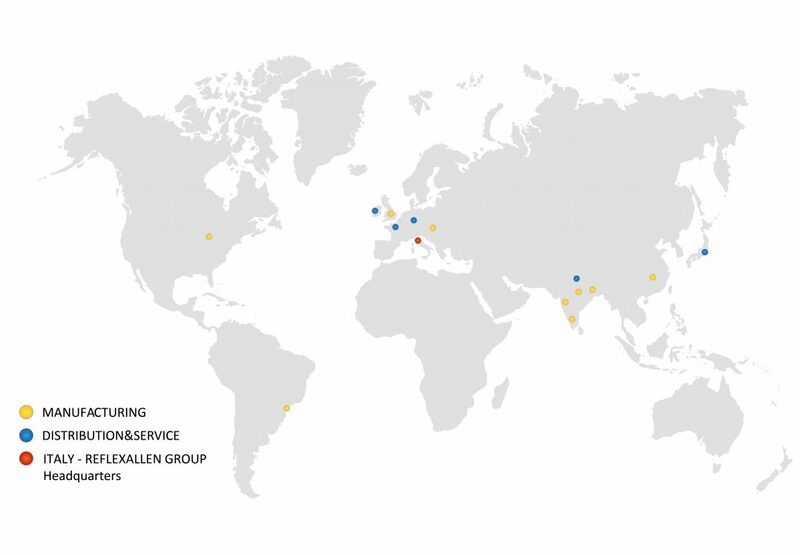 We employ more than 1,300 members worldwide localized in Europe (Italy, Benelux, Czech Republic, Deutschland, Ireland, Netherlands, UK), Americas (Brazil, USA) and Asia (China, India, Japan). As a global organization with more than 30 years of experience in the automotive sector we are considered one of the leaders in the global truck and high-performance car components markets.